This week's yarn-tastic finds are few in number, but bright in color! 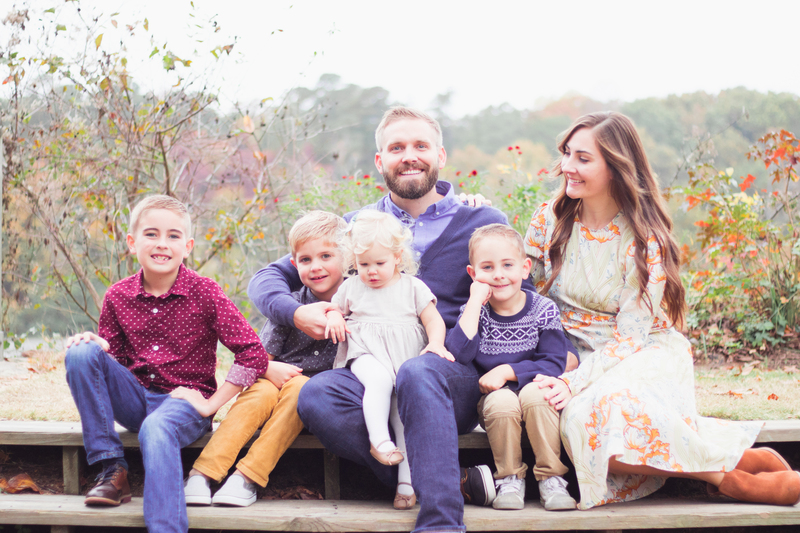 Just looking at the photos from these crafts makes me so happy. It just reminds me what a huge effect color choice can have when working with yarn and presenting your project! Don't ya think? 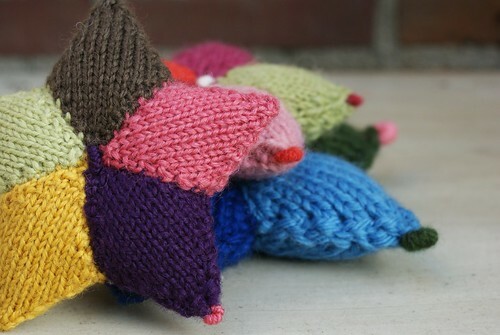 These adorable knitted stars are from the Dutch Sisters blog. I want to make some exactly like these and decorate my tree and mantle with them! 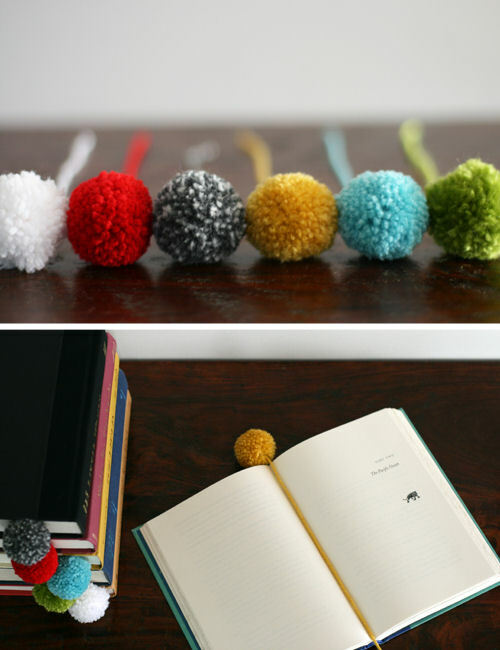 These pom pom bookmarks are so cute! They would make a great handmade gift for the "reader" in your family. I also love the way they look all lined up in the stack of books. 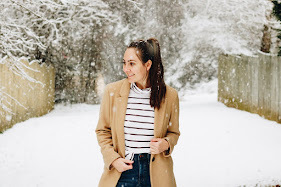 Found on Design Mom. 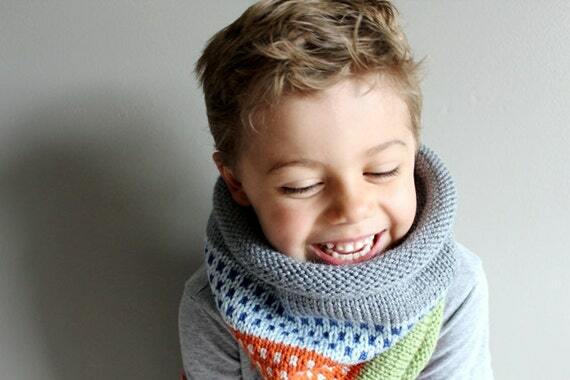 Besides the fact that this little boy is totally adorable, I am in love with this cowl! What an amazing design! Wow. It is just so nice to look at. I wish my boys would agree to wear scarves more often because I would have them wear this every day. Made by the House of Hemp on Etsy. Aren't those color schemes so happy to look at? We bought our Christmas tree over the weekend and I can't wait to decorate it tonight and make it just as colorful and happy as these yarn projects!